Guy Newland is Professor of Religion and Chair of the Department of Philosophy and Religion at Central Michigan University where he has taught since 1988. He holds a Ph.D. in the history of religions from the University of Virginia, where he studied Tibetan Buddhism with Jeffrey Hopkins. Guy has also studied with many Tibetan scholars in the U.S. and India. 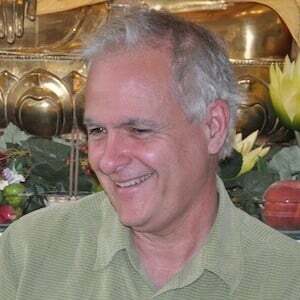 He is an editor of the three-volume translation Great Treatise on the Stages of the Path to Enlightenment and Changing Minds , and the author of four other books: Introduction to Emptiness , The Two Truths , Appearance and Reality , and A Buddhist Grief Observed . See photos of one of Guy Newland’s recent teachings.